Heeft u een vraag voor Everyday Smart Hotel (Everyday Smart Hotel )? Gelegen in het hart van Malang centrum, is het Everyday Smart Hotel een ideale uitvalsbasis om Malang te ontdekken. Het stadscentrum is slechts 3 km verwijderd en het vliegveld kan worden bereikt binnen 25 minuten. Dankzij de praktische locatie liggen alle belangrijke trekpleisters in de buurt van het hotel. De faciliteiten en diensten, geboden door het Everyday Smart Hotel , garanderen een plezierig verblijf voor gasten. Maak in het hotel gebruik van een selectie topklasse faciliteiten, zoals gratis wi-fi in alle kamers, 24-uur beveiliging, wasserette, 24-uur receptie, snel in- en uitchecken. Gasten kunnen kiezen uit 144 kamers, stuk voor stuk plezierig en comfortabel ingericht. Het hotel biedt geweldige recreatiemogelijkheden die uw verblijf onvergetelijk zullen maken, zoals fitnesscentrum, zwembad (buiten). 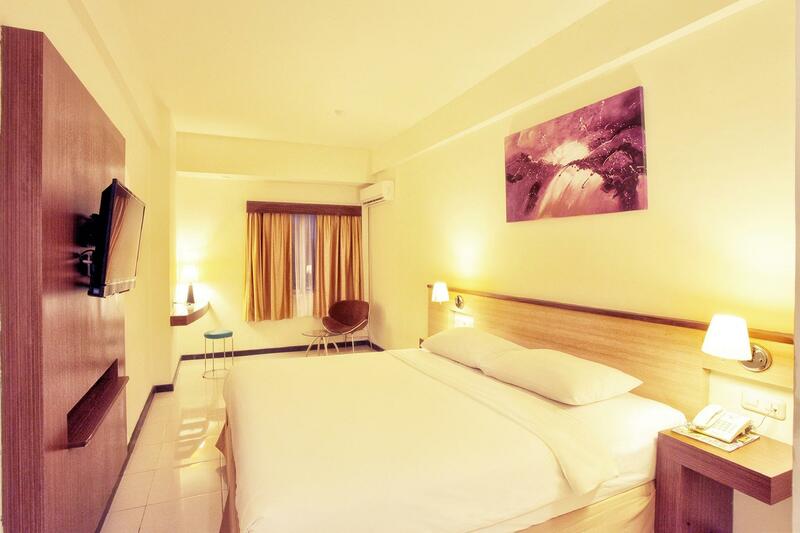 Het Everyday Smart Hotel is een ideale verblijfsplaats voor reizigers die charme, comfort en gemak zoeken in Malang. The hotel is in a new building, some other floors is for rented apartment. 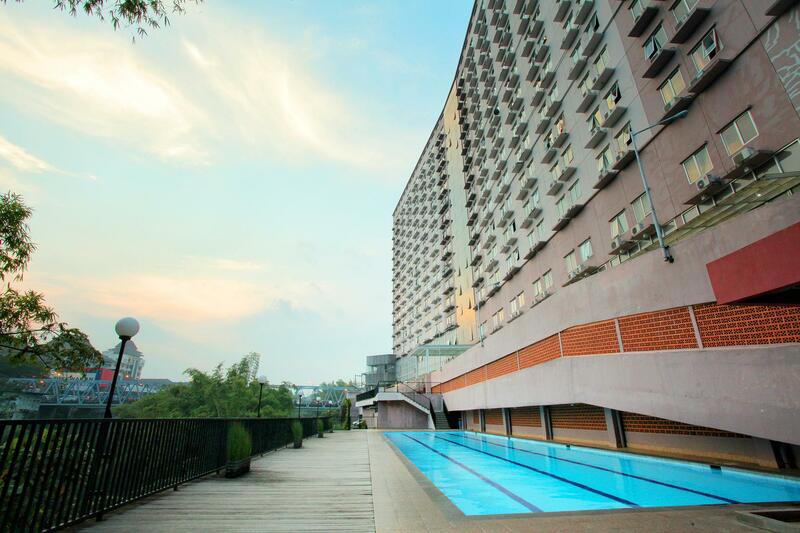 I like the location of the hotel, in the corner of a major street (Jalan Suhat/Sukarno-Hatta), just walking distance to many (local) restaurants, and it's a riverside hotel. If I'm not mistaken, this hotel doesn't provide us with breakfast, no restaurant in the hotel. It doesn't matter for me, since I rarely take the menu from the hotel. I personally prefer to taste local food from local restaurant. Overall, I satisfied with Everyday hotel. From the price and location and the room comfort. The only thing that I don't like is that we can hear all voice around the corridor even from outside since it's Ramadhan period so the mosque was praying from night till morning. Luckily, I finally can sleep well. This hotel punches above it's weight in terms of value/price. Rooms were of a goos size, great bed, good TV, air-con etc. Oh, and the shower was nice and HOT! The only negative was the breakfast buffet, which was always cold. i.e. not supposed to be cold food. Location is out of the centre of town, but lots of good cafes and restaurants nearby. This hotel is located in an apartment building. The room is on the small side but sufficient for a night rest. The bathroom design is a bit funny and cramped. However, considering the amount you pay, this hotel is a value for money. There is also a swimming pool which I did not have the chance to use. thats enaugh , but i cant recomand taht hotel to you guys, too much room with the limits lift. you must waiting for a while to your ways. bad accessable, lobby at 7flor, your room at other flor, your car at basemant,its was very wasting time just for waiting a lift. not recomanded for park area. it was full and bad staff to help us. 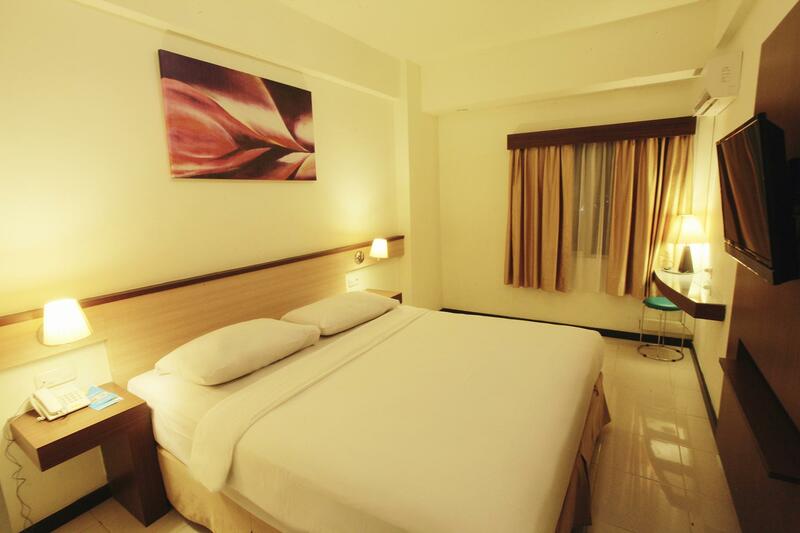 with the same rate for a night, better you choose a pure hotel, not combine hotel and apartemen like everyday samart hotel. many hotel with the same rate with a better overall.. maxone, amaris, aria gajayana, i think its more better. First. Just to enter the hotel lobby you need to wait another person to open from the other side of the door. The security said that the key is brought by their manager. And I need to wait 30 minutes. Second, the customer service give me free parking ticket, but unfortunately when I give it to the parking staff, he said it that its not valid and had little argue with me. Disappointing. The food opposite the hotel better than the food beside the hotel. The lobby is inconvenient. And the last but not least with that price they should've include breakfast. The parking lot is too complicated. Price is ok , Not far from city centre, TV channel is complete enough. 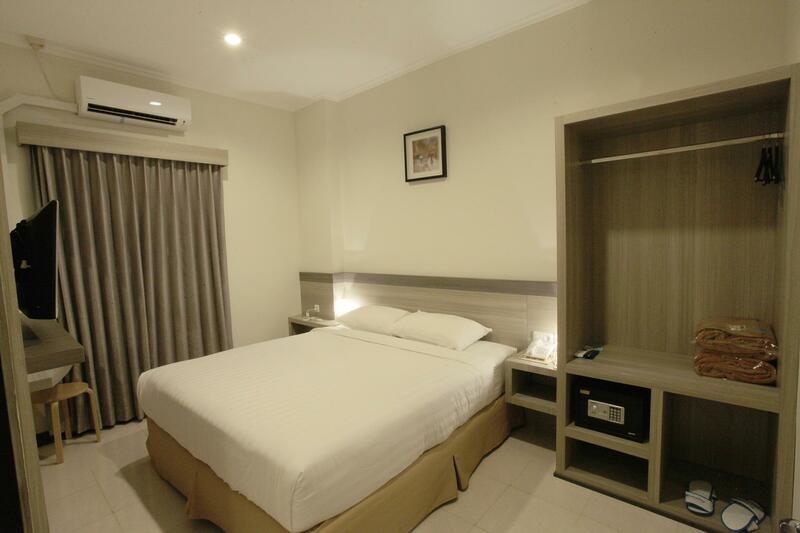 - The hotel is apartment and also hotel in one building . - The design of the hotel is funky but not function at all, for example the reception is on the 7th floor , while bfast is on 11th floor . - No locker in or drawer with key. - The reception could not give information with regard to the common question , e.g : What is the approximate cost by taxi to the airport ? The answer was depend on the argo meter , they should explain more as I think that is very common question from a guest . The floor is always dirty, even after the staff cleans it The drain in the shower, is not good enough, so when we taking shower, it always flooding.The BEd is so comfy btw, looks like the use King Koil, AC is so sool too, it freeze the floor since they dont put carpet on the floor. The concept is more to apartment than hotel. Breakfast is so so. During busy time in holiday, the food refill is bad. When I had breakfast on that time, there was spots on the spoon. The room is fine but no room amenities like slipper, toothbrush, cotton bud etc. Room service is not 24 hours.... And it's from outside the hotel. So, when you order food from room service, it will be delivered using stereo form and plastic spoon and fork. It's closed at 21:00. The view is cool and you get free internet. Overal, as long as you just need a place for overnight stay... It's fine. Just don't expect you get hotel service quality.